Accessible from the heart of downtown Salt Lake City, this paved route brings you quickly away from the urban congestion through a very pretty canyon along a pleasant creek. It is a fairly steady uphill grade once inside the Canyon. Start downtown at the Capitol. and run the shared use path through Memory Grove Park. It is 1.3 miles to the City Creek Canyon Trailhead. From there, once can run another 5.3 miles along paved Canyon Rd. Pedestrians should stay on the creek side of the road. Between May and October, the road is closed to cars on ODD DAYS (to allow for cycling). The Water Treatment Plant is a good ‘halfway’ point for a turnaround. Once in the canyon, there are some additional trail connections — more appropriate for trail running. 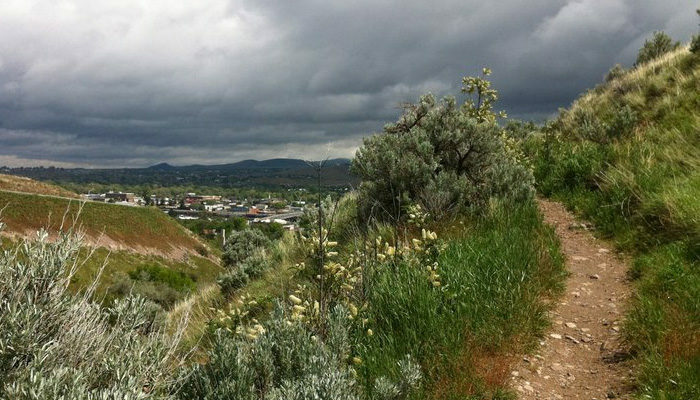 Best bet is the Bonneville Shoreline Trail (see separate route in our SLC profile). I liked up to you’ll obtain performed proper here. The caricature is attractive, your authored material stylish. nevertheless, you command get bought an nervousness over that you would like be turning in the following. sick unquestionably come more previously once more as exactly the similar just about a lot ceaselessly within case you defend this hike. After examine a few of the blog posts on your website now, and I really like your method of blogging. I bookmarked it to my bookmark website record and will probably be checking again soon. Pls take a look at my web page as properly and let me know what you think. I do like the manner in which you have framed this concern plus it does indeed supply me personally a lot of fodder for thought. Nevertheless, coming from just what I have personally seen, I basically hope as the responses pile on that individuals stay on issue and don’t embark upon a tirade associated with the news of the day. Yet, thank you for this exceptional piece and though I can not necessarily go along with this in totality, I value your perspective. I am no longer positive where you’re getting your information, but great topic. I needs to spend a while learning much more or figuring out more. Thank you for magnificent information I used to be searching for this information for my mission. I was very pleased to find this web page. I wanted to thanks for your time for this superb read!! I definitely enjoying every little bit of it and I have you bookmarked to have a look at new stuff you weblog post. Do you mind if I quote a couple of your articles as long as I provide credit and sources back to your weblog? My blog is in the very same area of interest as yours and my visitors would certainly benefit from some of the information you present here. Please let me know if this okay with you. Many thanks! Howdy I am so glad I found your site, I really found you by accident, while I was looking on Bing for something else, Anyways I am here now and would just like to say many thanks for a marvelous post and a all round entertaining blog (I also love the theme/design), I don’t have time to look over it all at the minute but I have book-marked it and also added your RSS feeds, so when I have time I will be back to read more, Please do keep up the fantastic work. It’s remarkable designed for me to have a site, which is valuable designed for my know-how. Thanks for your personal marvelous posting! I actually enjoyed reading it, you will be a great author.I will remember to bookmark your blog and will come back in the foreseeable future. Main Canyon Road: 1.3 miles from downtoan to trailhead. Then 5.3 miles to end of Canyon Rd. 1495 feet over entire trail. Steady uphill climb.